Whatever you are looking for Material used for Jewelry you can get it from Fashion Jewelry For Everyone Handmade Exquisite Necklace! 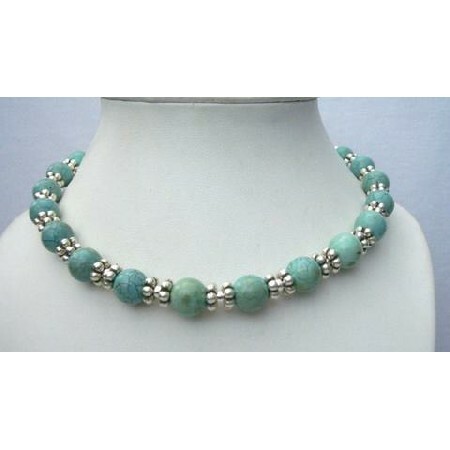 These genuine nature 10mm green turqouise accented in beautiful necklace with bali silver spacing. This Necklace Delve into a World of Glamour.